It is very easy to be lured onto the cloud by the concept of only paying for resources when you use them; moving your budget spend from CAPEX to OPEX is an attractive way to manage stretched budgets. But … it’s not as straight-forward as you may like and you need to be careful. Some applications aren’t suited to run in public cloud for either technological or financial reasons. You will need to do a careful triage and properly understand your application portfolio and analyse where they best sit. Ultimately much of the cloud vs on premises decisions come down to whether the application is designed to run in the cloud. It is important to dig deeper, look beyond the cost savings, why else are you moving to the cloud and is this the best thing to do? 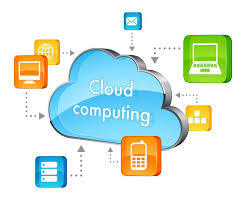 There are some useful Cloud cost analysis tools such as CloudCheckr and Cloudability that will help avoid any surprises. Remember that a change in platform will almost certainly require a change in culture. You will need to work into your implementation plans resistance from colleagues as well as technical hiccups. Granularly tracking resource use may throw up some unexpected budgetary considerations that will need careful management across your institution. It’s going to take a while, but over time people throughout your institution will better understand and have more expertise to use cloud services at scale which will result in cost optimisations you didn’t expect to be possible. And you never know, one day the apps themselves will seek out the most efficient platform. You can read more about this at TechTarget and finesse your cloud usage.